The Class 66s (also known as Sheds, Freds, Dreds and Bluebirds) work all over the UK, 250 of them work for DB Schenker, approximately 100 for Freightliner, 19 for DRS, 78 for GBRf and 5 for Colas Rail. All of these companies' 66s visit Scotland on a daily basis. 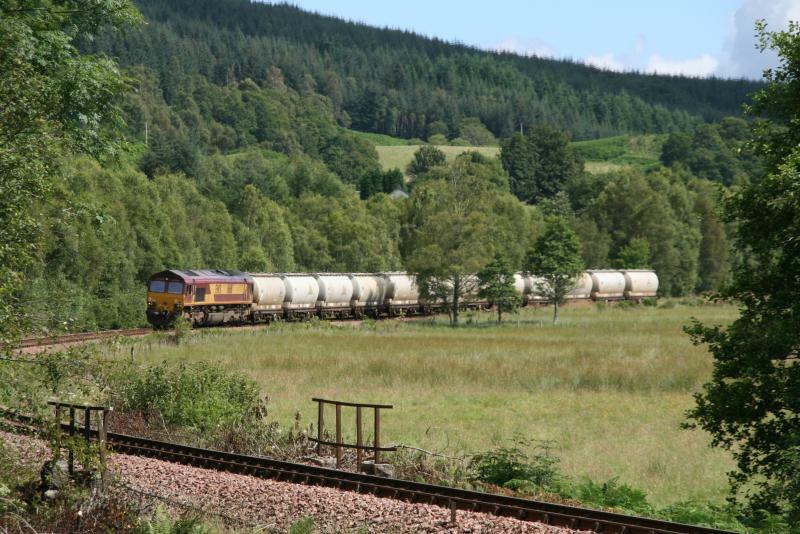 Class 66s have been active on the West Highland line to Fort William since mid 2000. The Only DB Class 66s which are are permitted on the West Highland Line are 66100-114. They are not usually permitted on the Oban branch, however, 66107 worked ballast train (6K16) to Dalmally on 13 February 2008. They are also used for engineering trains from Mossend, Carlisle and Millerhill. Around 100 class 66s have been exported to Poland and France. The France class 66s occasionally return to the UK for the RHTT season and for repairs at Toton. 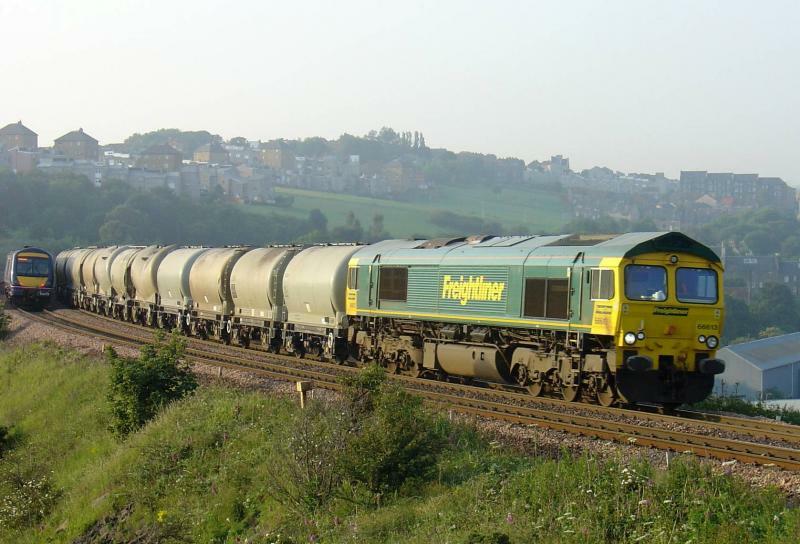 Freightliner acquired 66411 - 420 from DRS, only a handful of 66s have been exported to Poland. DRS at one point had 66401 - 420 but they have since gone to GBRF and freightliner. GBRF acquired more class 66s from DRS, Colas and freightliner. 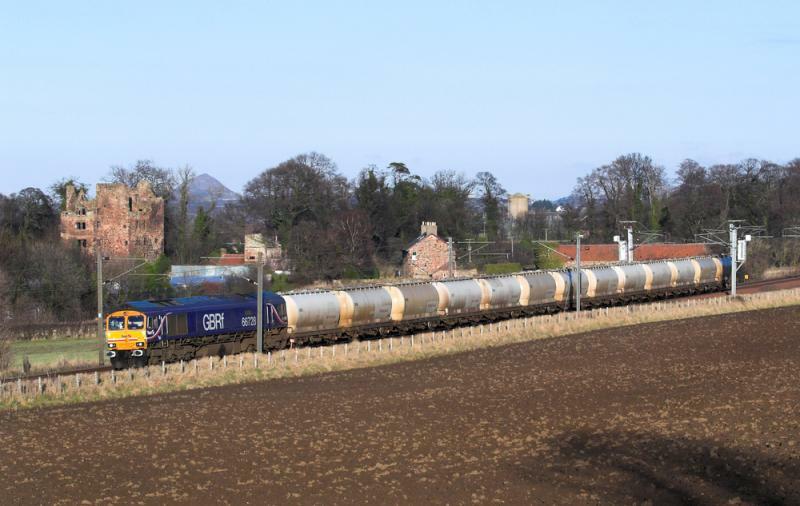 66734 is the only 66 out of traffic for GBRF and it is currently sitting on the banks of Loch Treig on the WHL since July 2012 following a derailment, it has now been scrapped on site. Created by brucekitchener and last modified by jamieintercity at 14:04, 19 of December 2017.